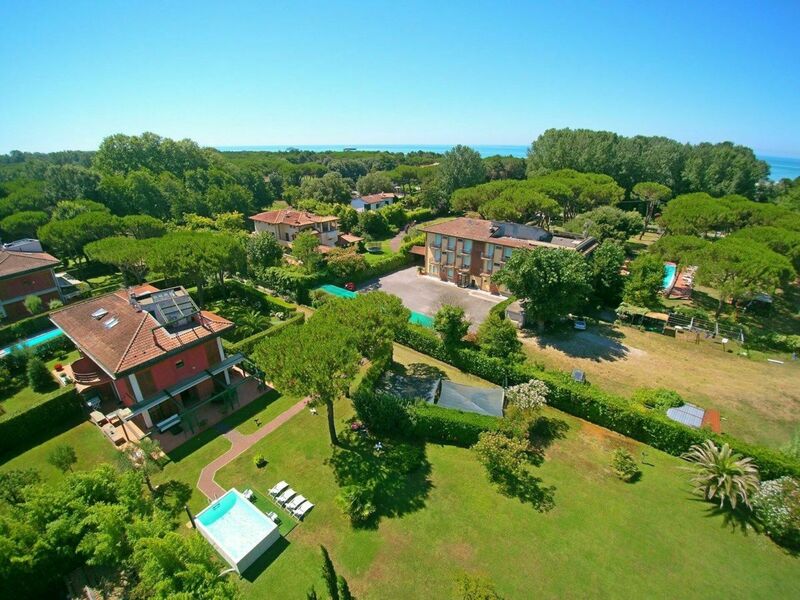 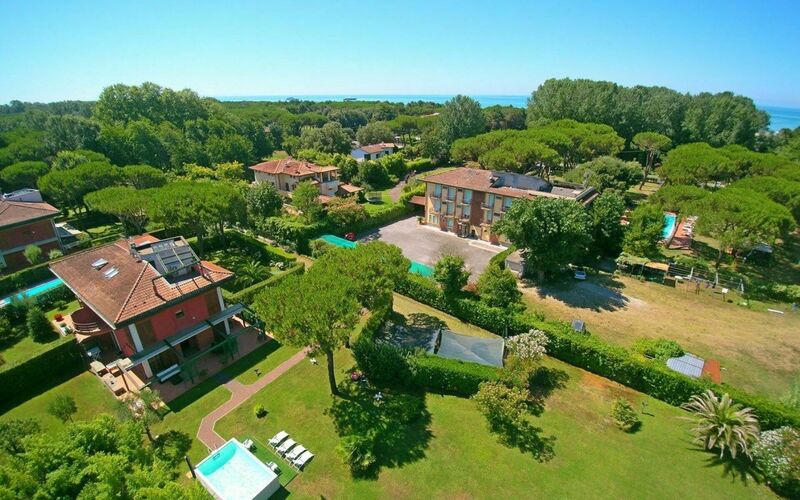 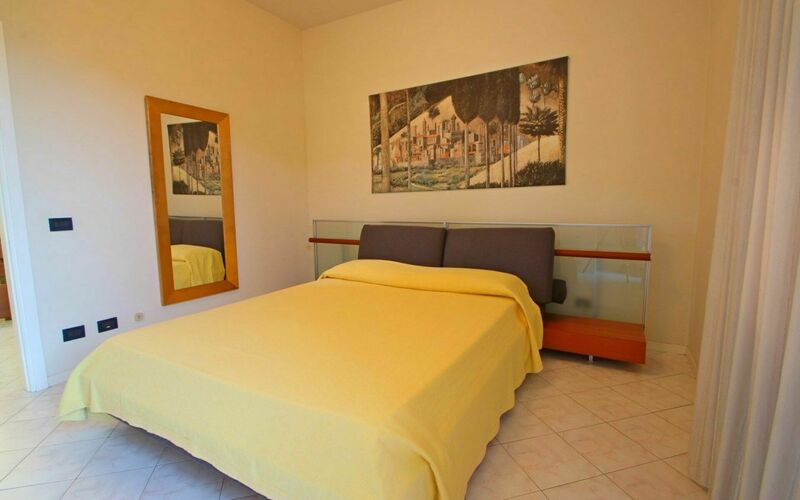 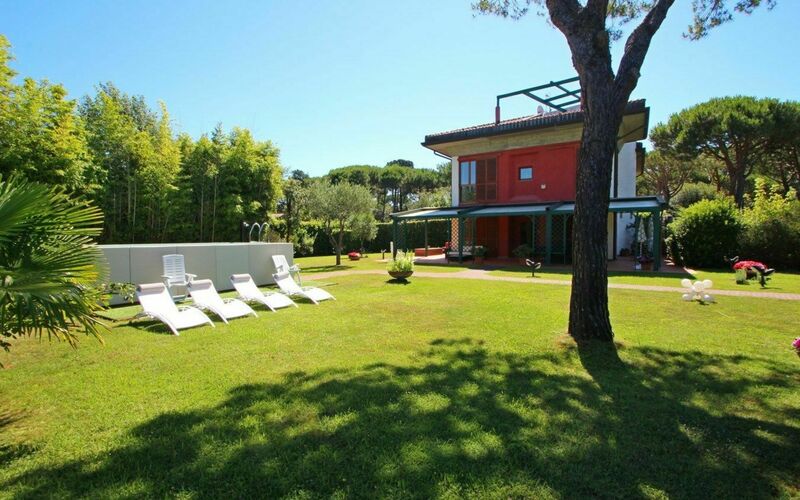 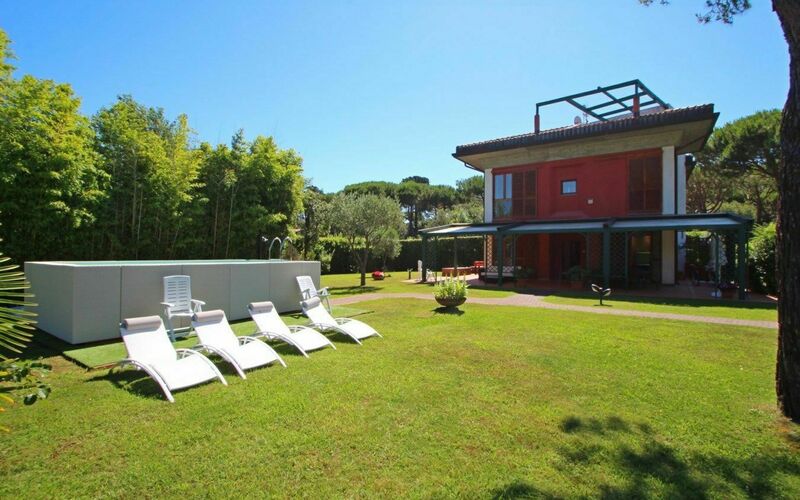 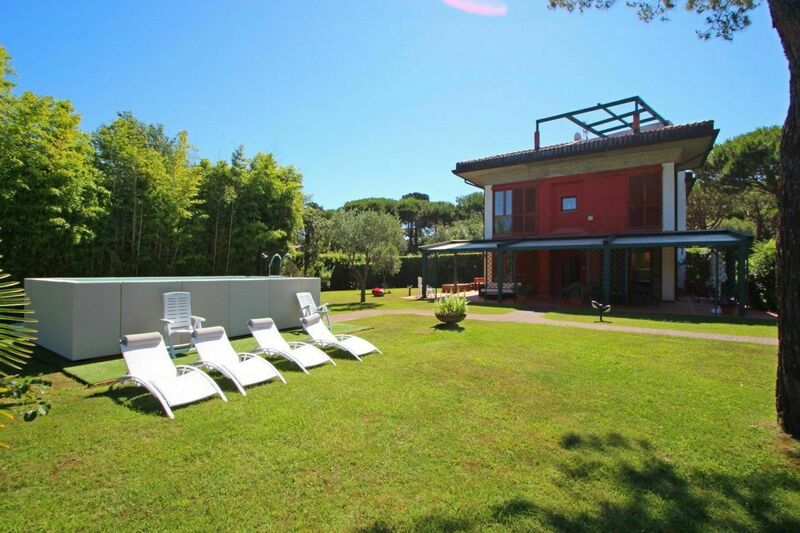 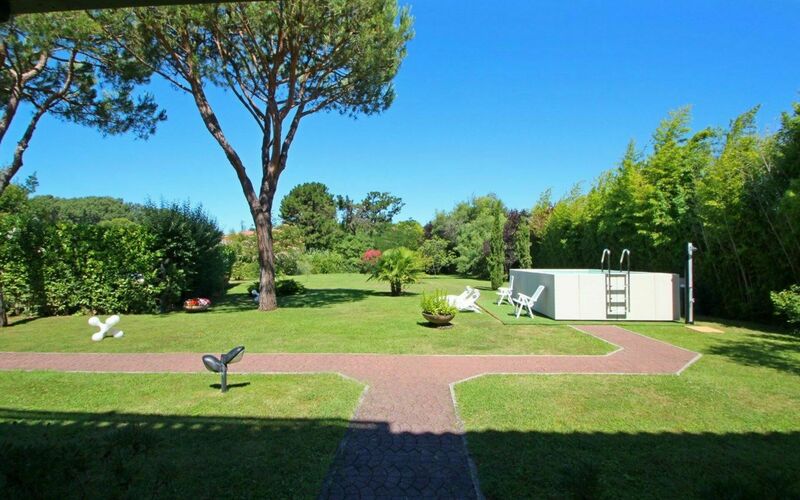 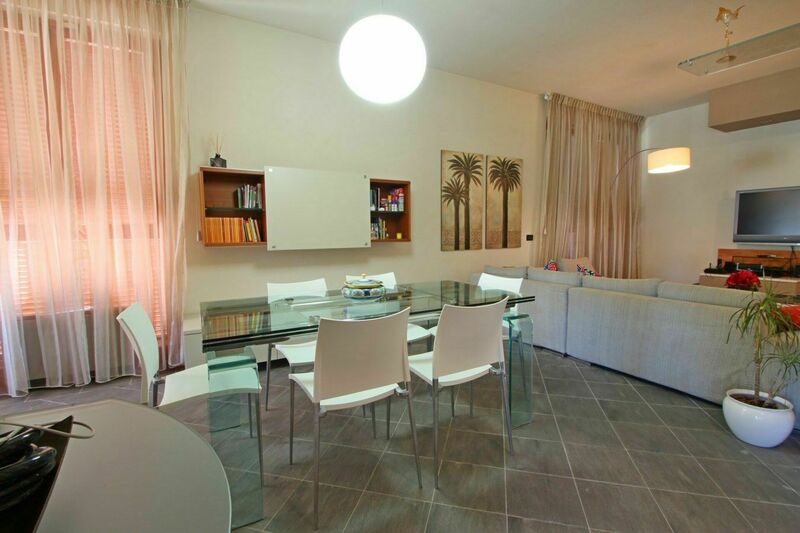 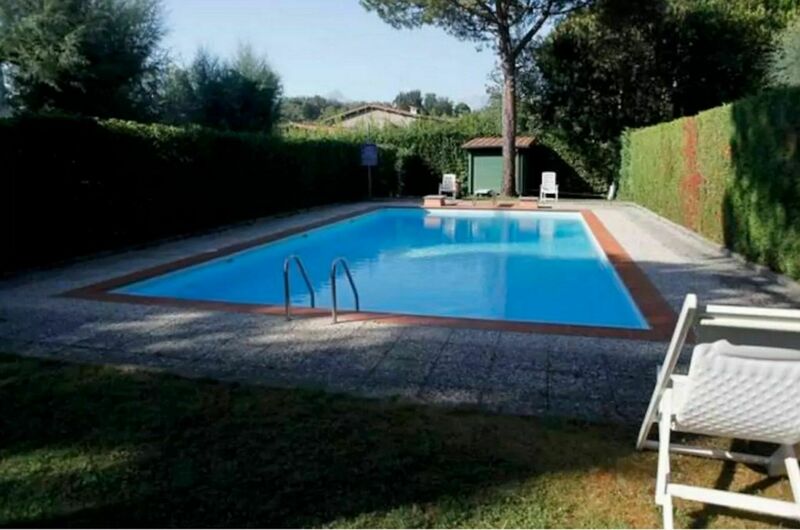 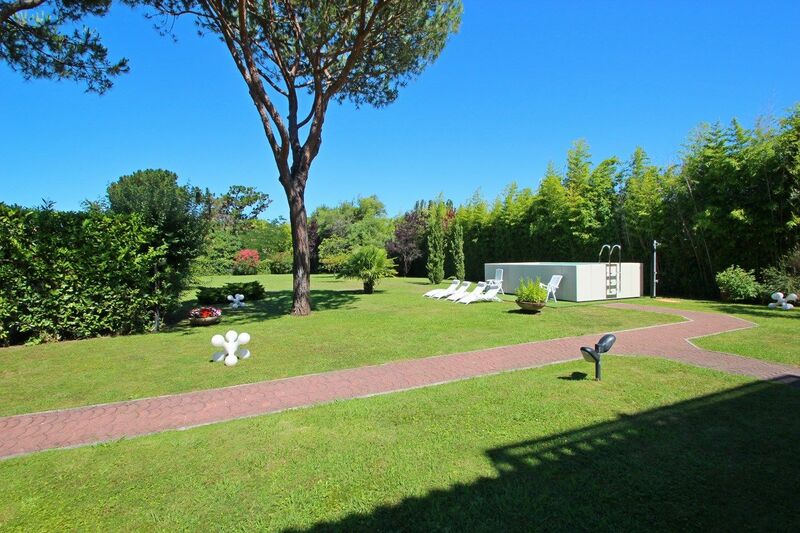 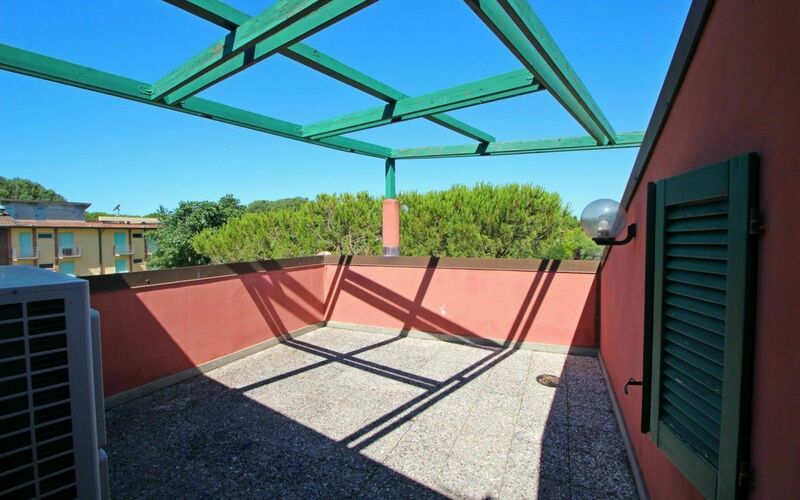 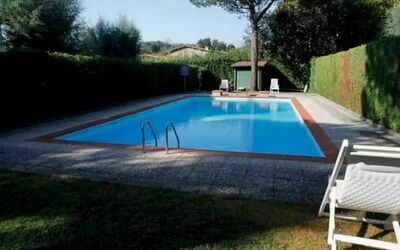 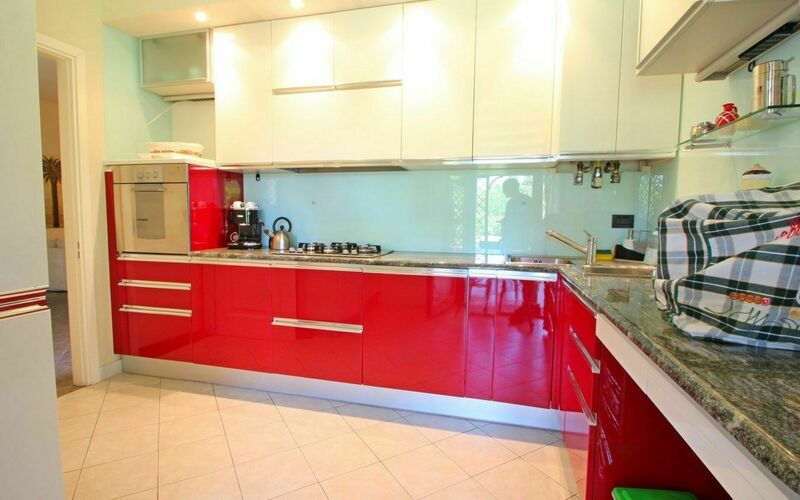 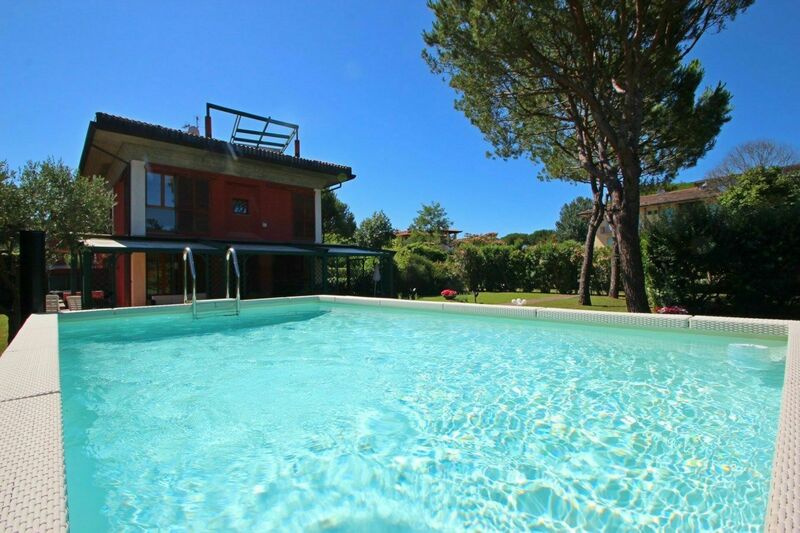 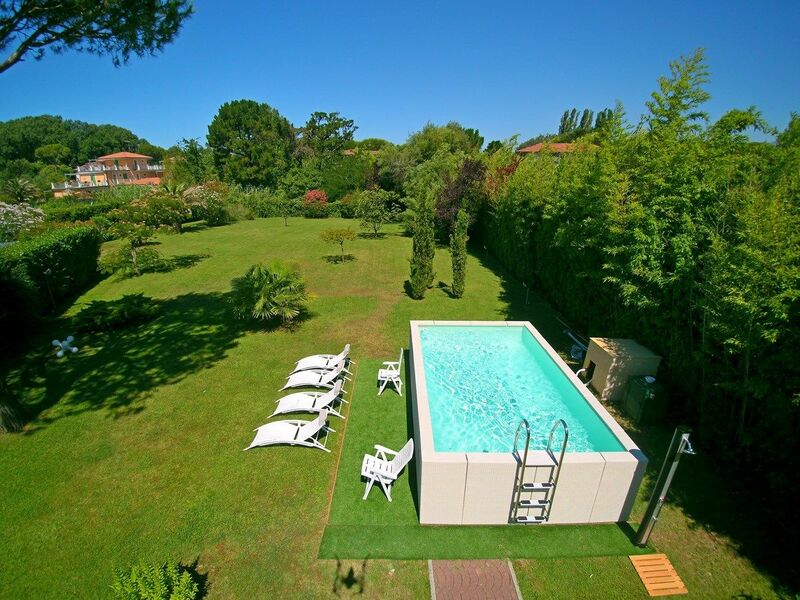 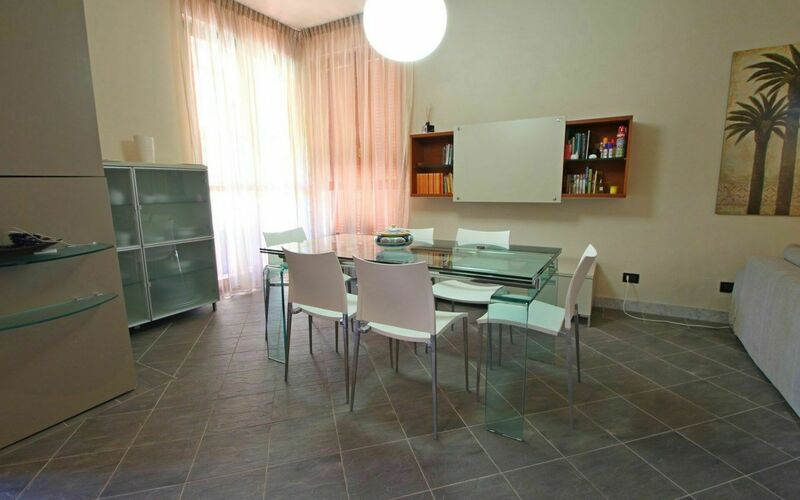 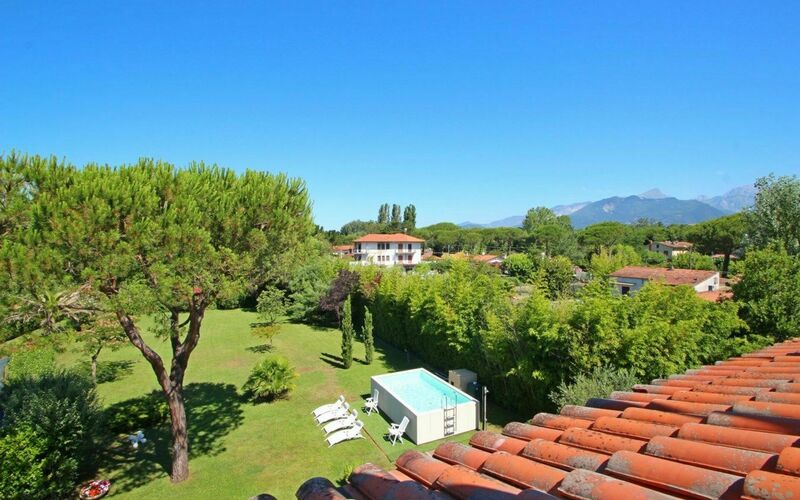 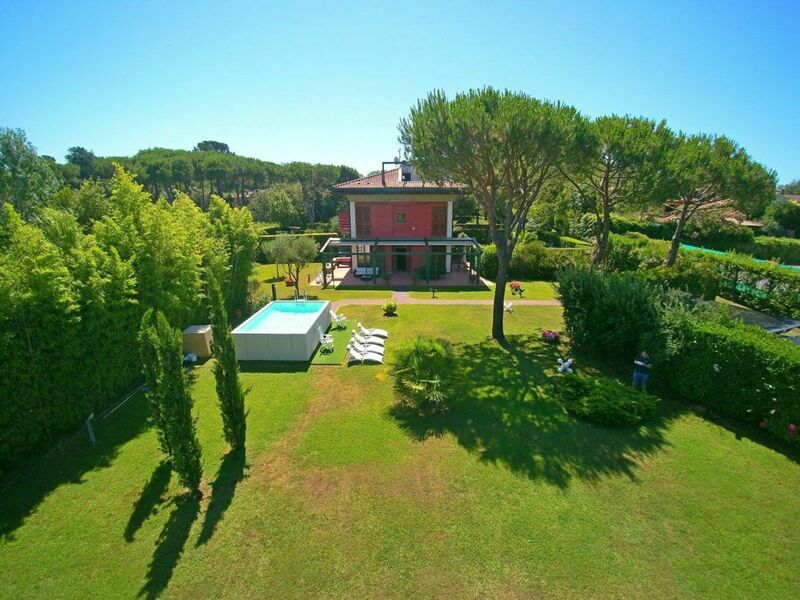 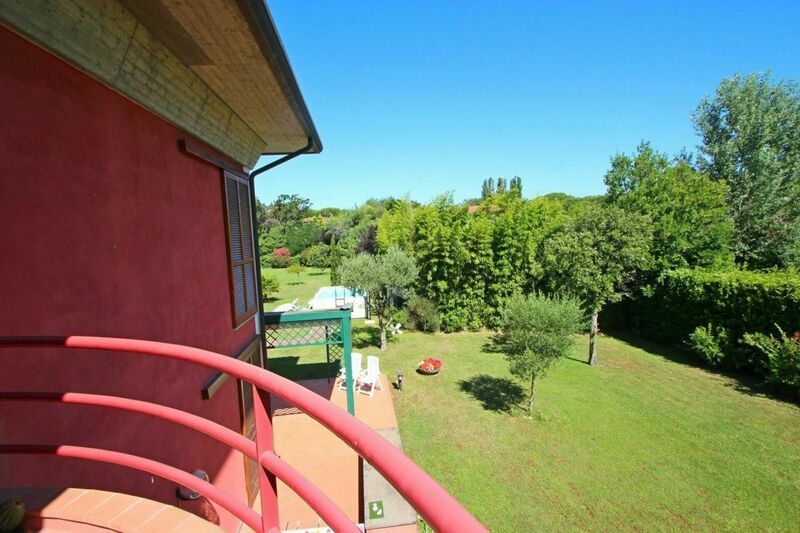 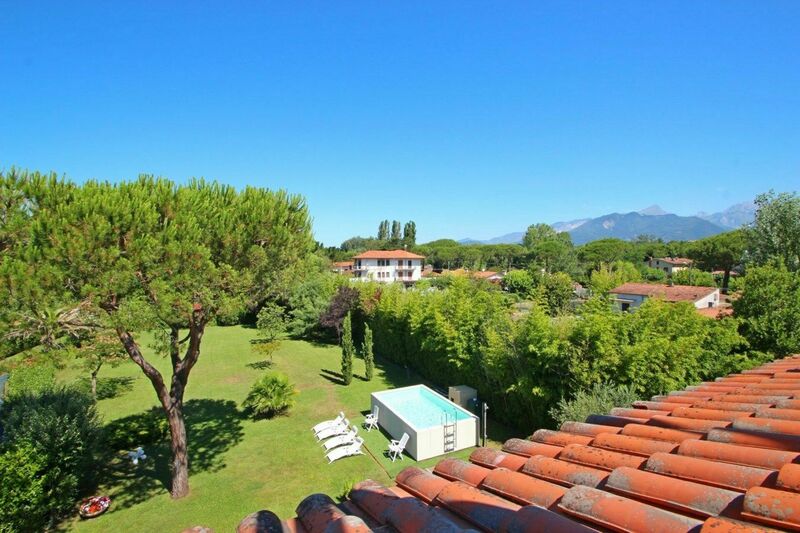 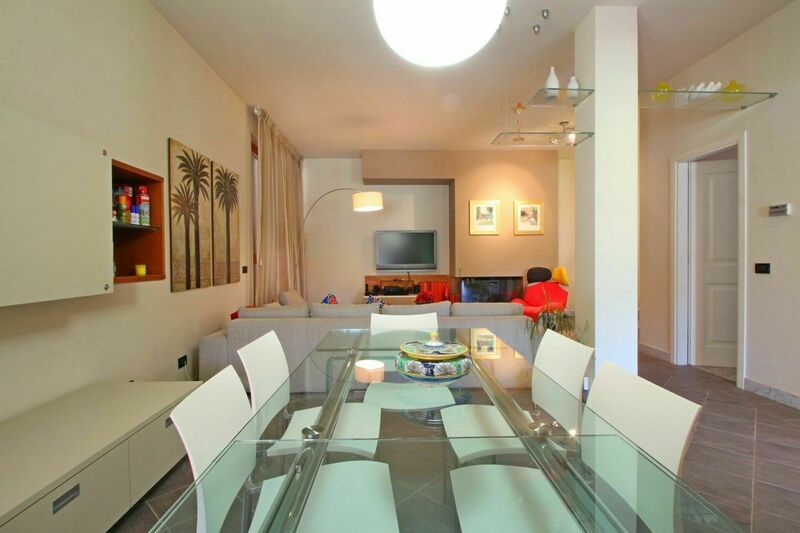 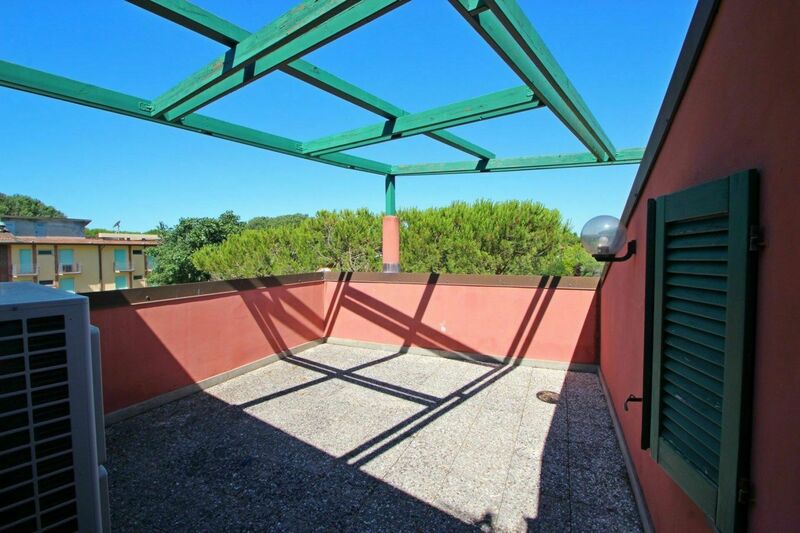 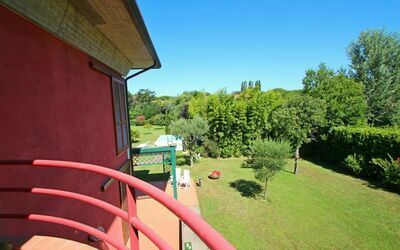 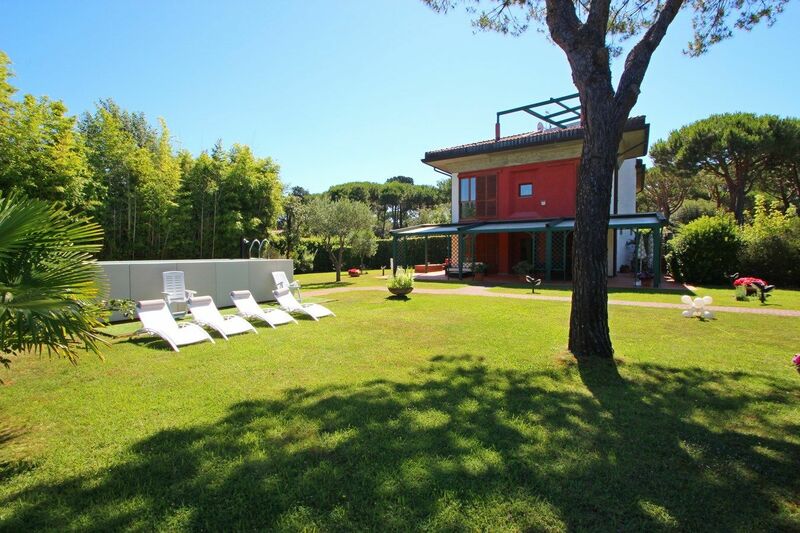 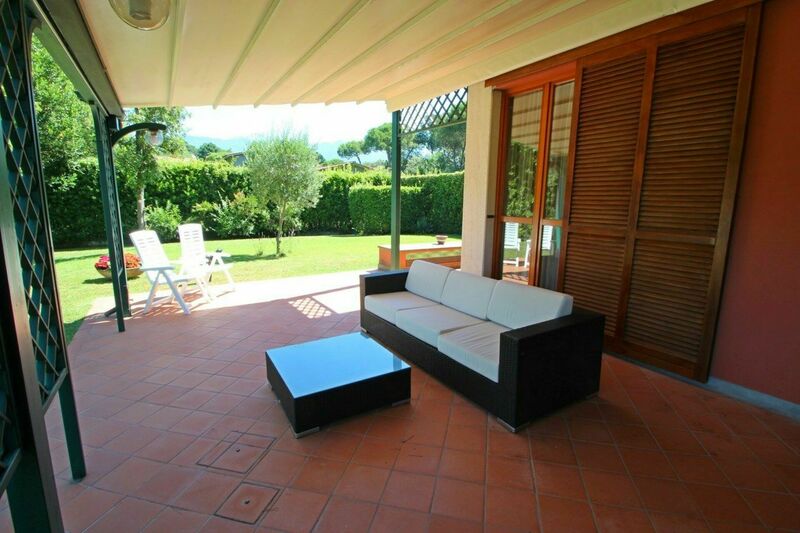 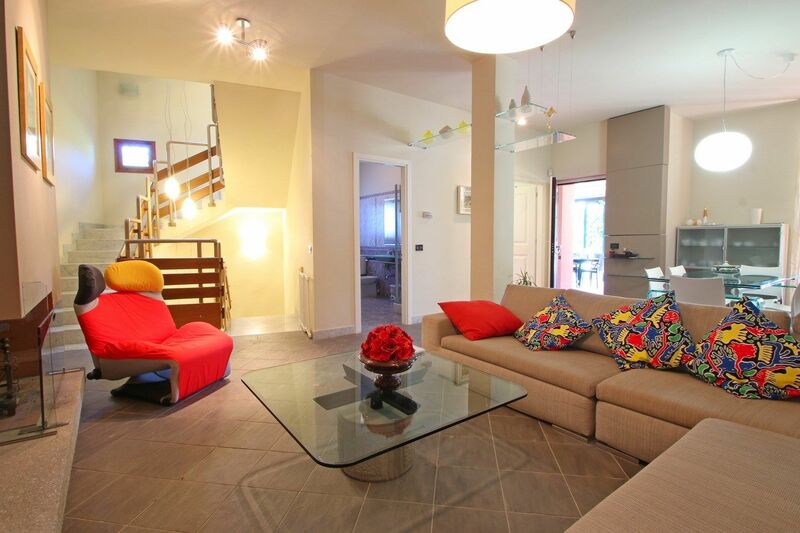 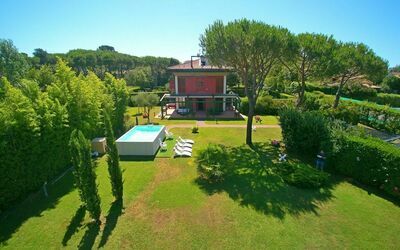 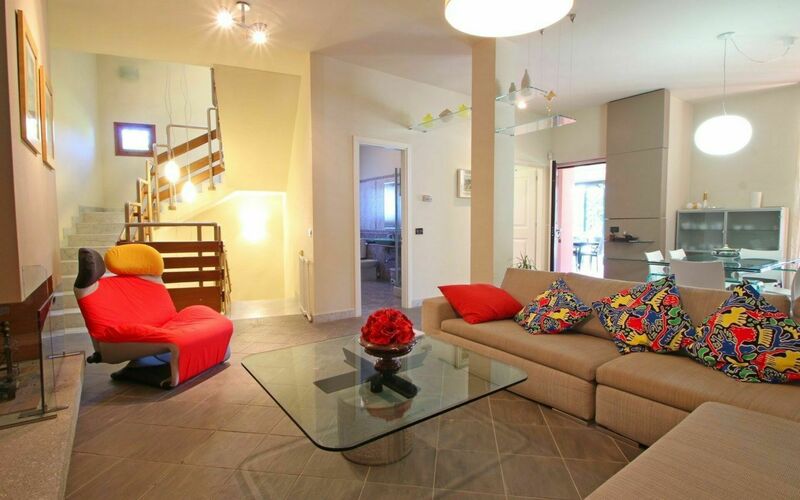 At 300 meters from the sea of ​​Versilia and immersed in the green pine forest of Poveromo / Ronchi you will find this modern semi-detached house with shared swimming pool with 3 other structures and a private outdoor pool in the garden. 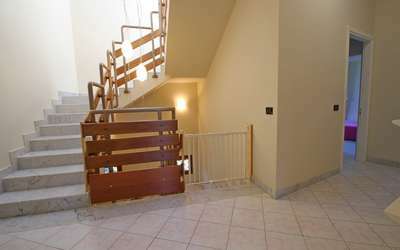 It is accessed by an automatic gate within the condominium complex. 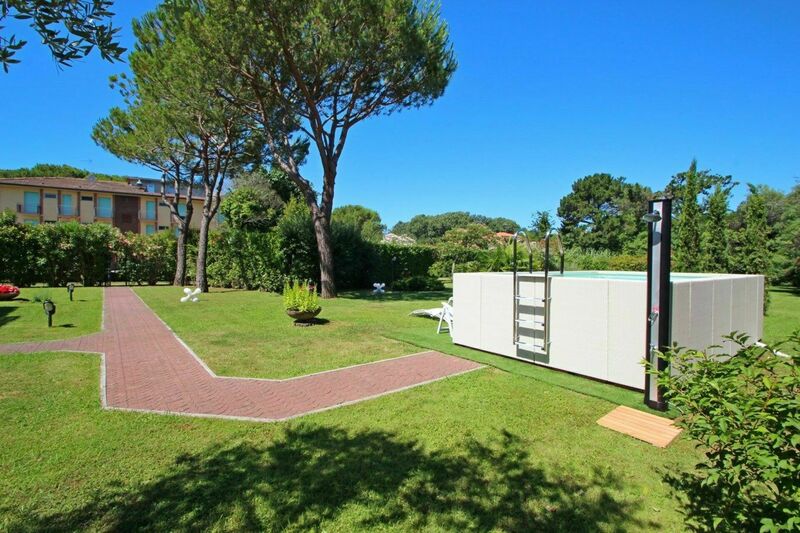 At the bottom there are 2 private car places but within the garden one can easily park other 4 cars. 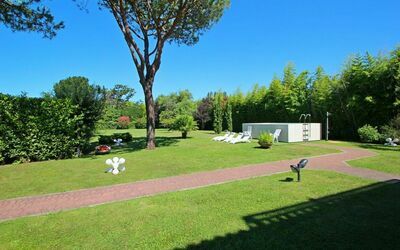 The large private garden extends over 2000sqm with plants, meadows and various areas for sunbathing or eating outdoors. 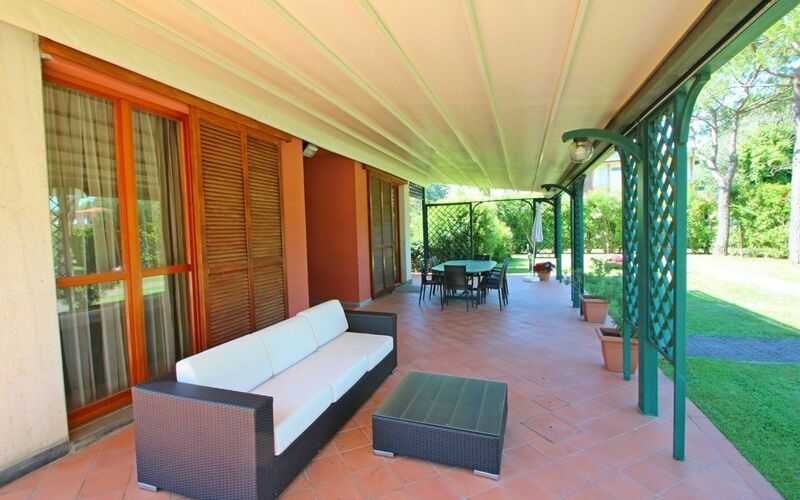 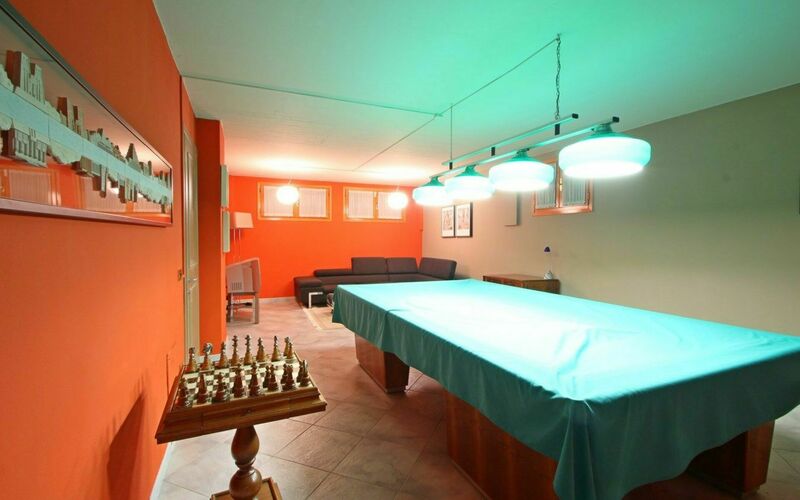 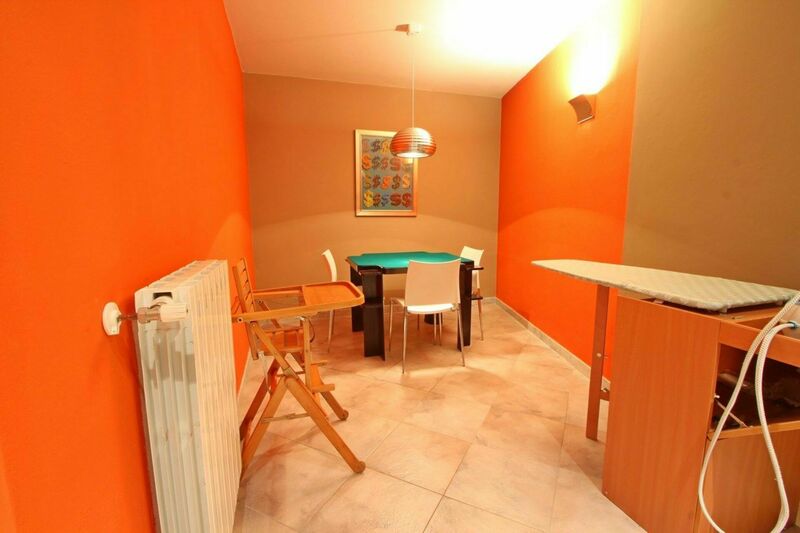 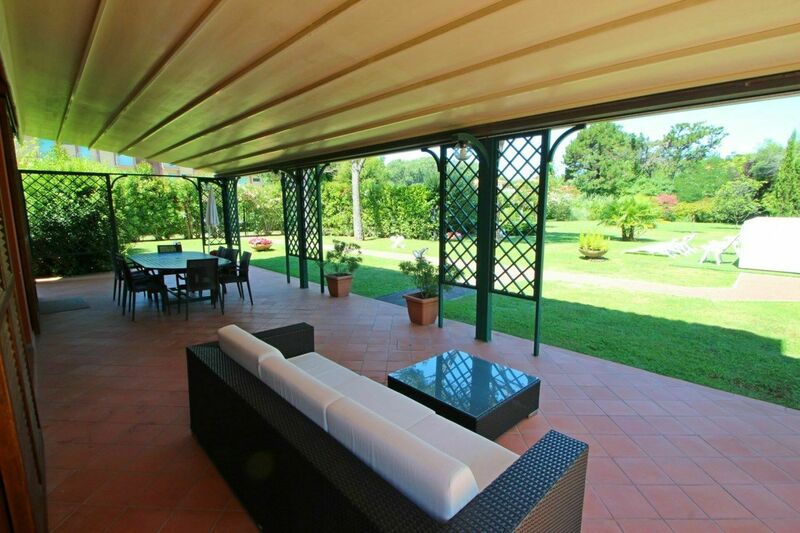 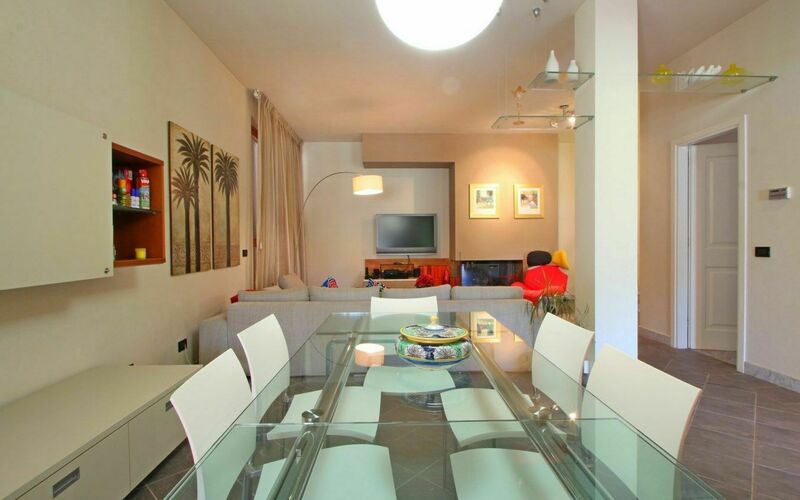 In front of the villa is a covered veranda (openable) with relax area, dining table, table tennis and table football. 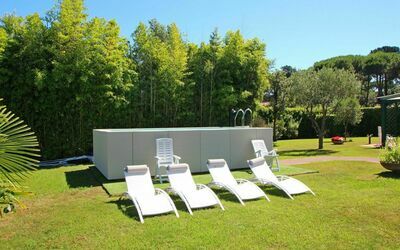 The shared swimming pool is located in the center of the two buildings that make up the property and is open from June 15 to September 30 and measures 6 x 12m with depth ranging from 1.20m to 2.50m. 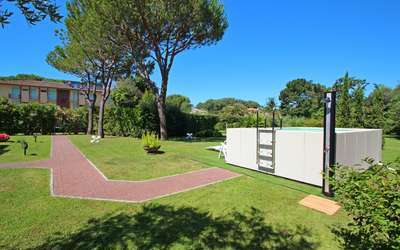 Near the pool there are several private deckchairs of the villa. 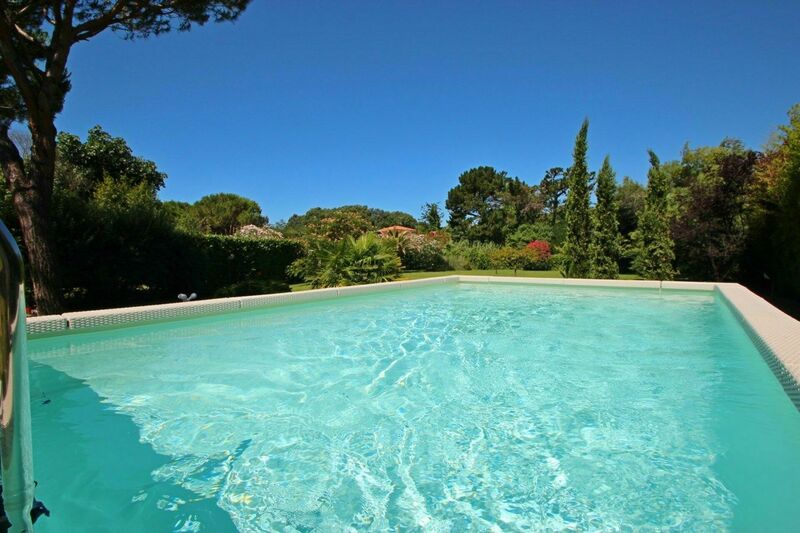 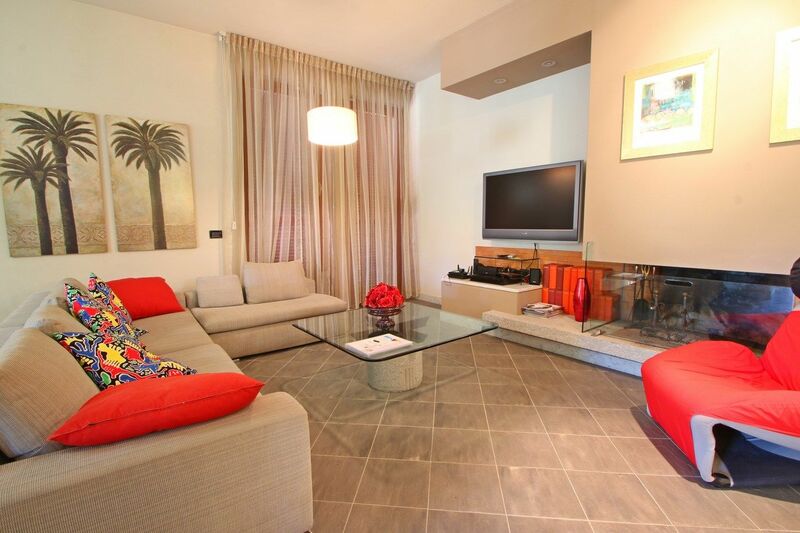 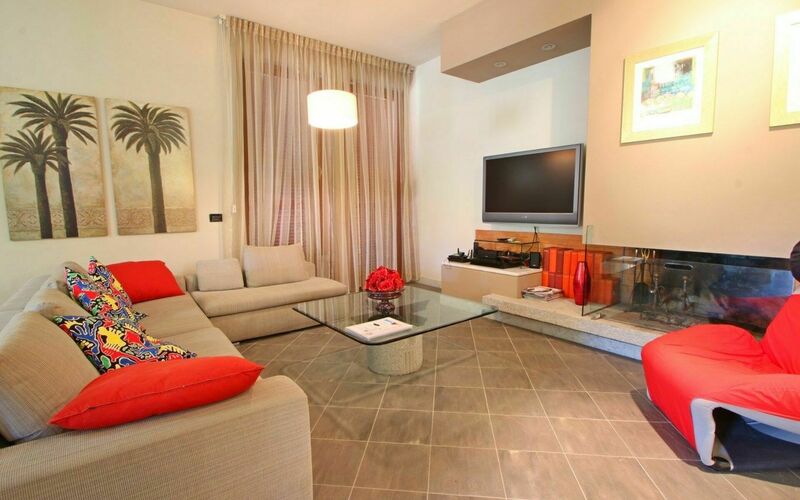 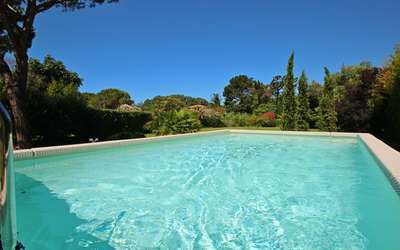 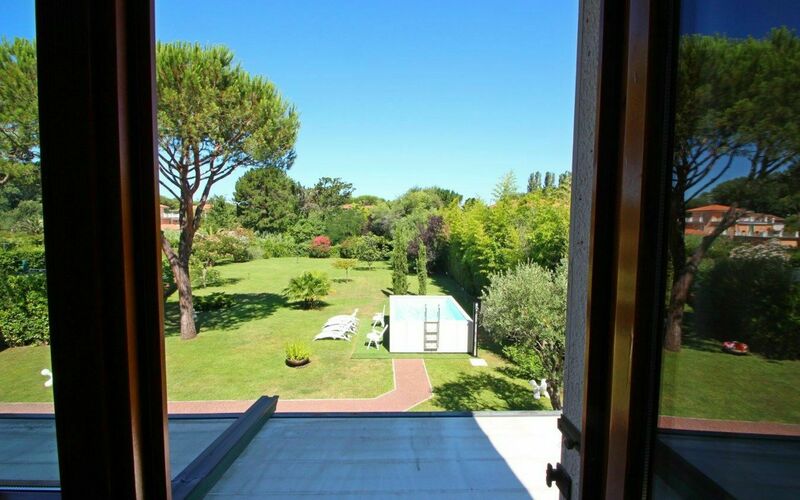 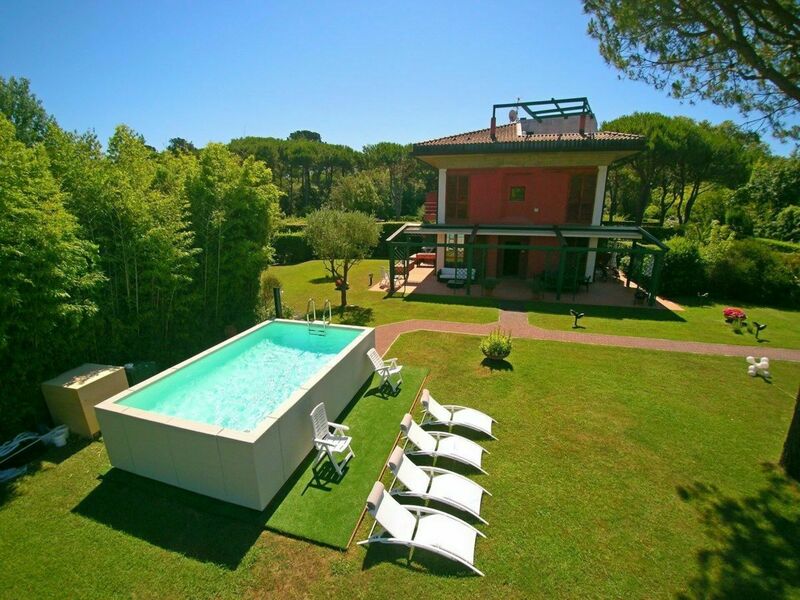 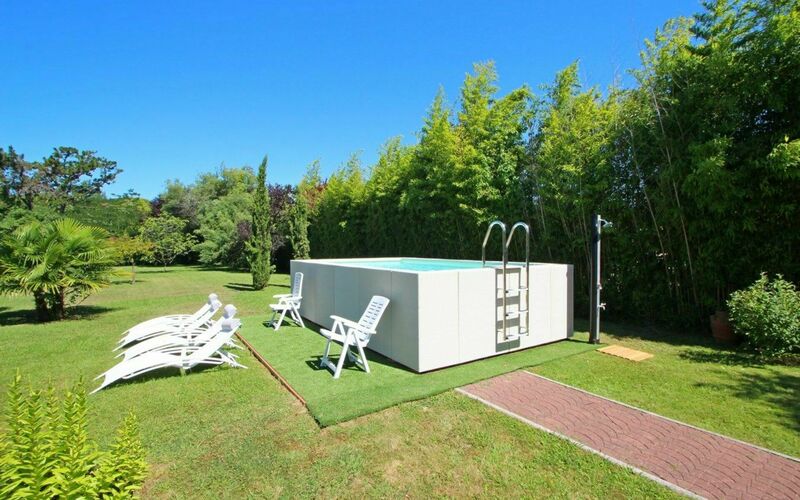 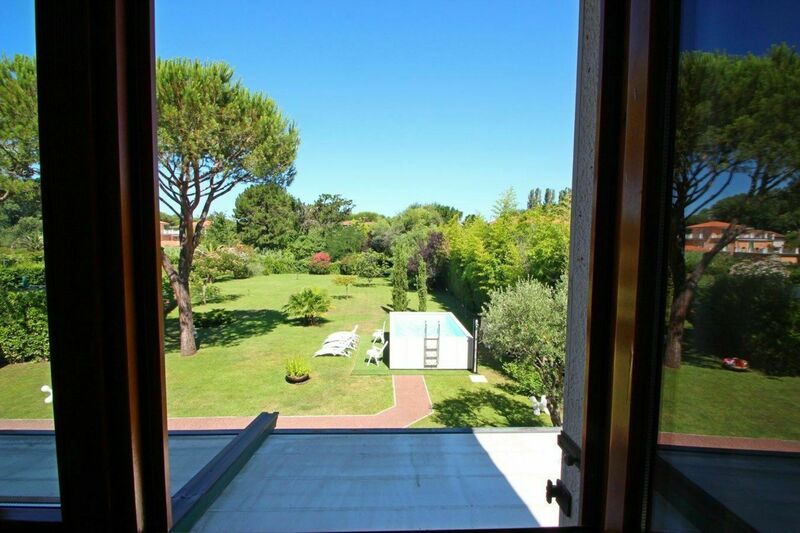 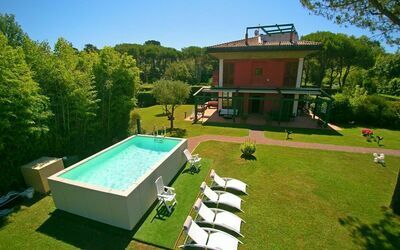 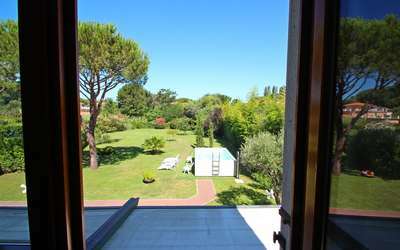 The villa, along with its garden with the second 3 x 8m swimming pool, is completely private. 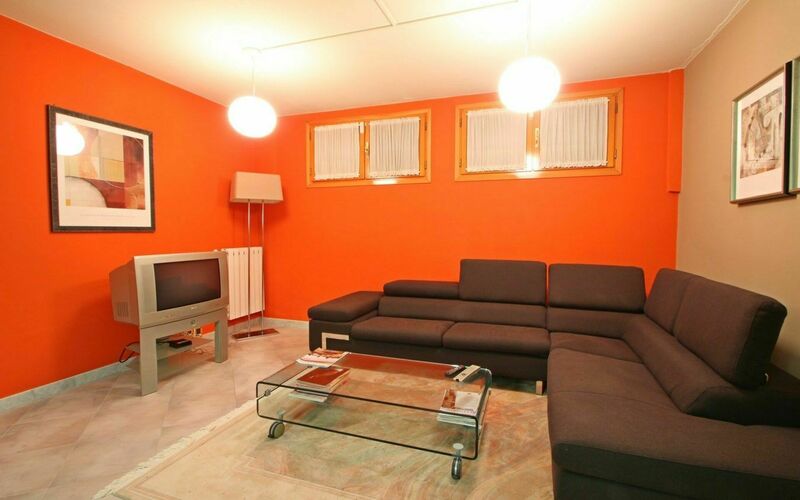 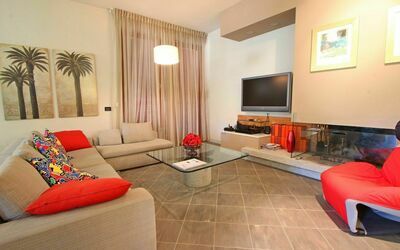 Ground floor: Living room with crystal dining table, sofa, TV, Audio 5.1 system, DVD, fireplace. 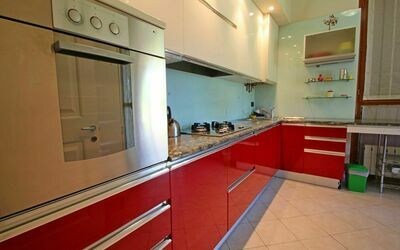 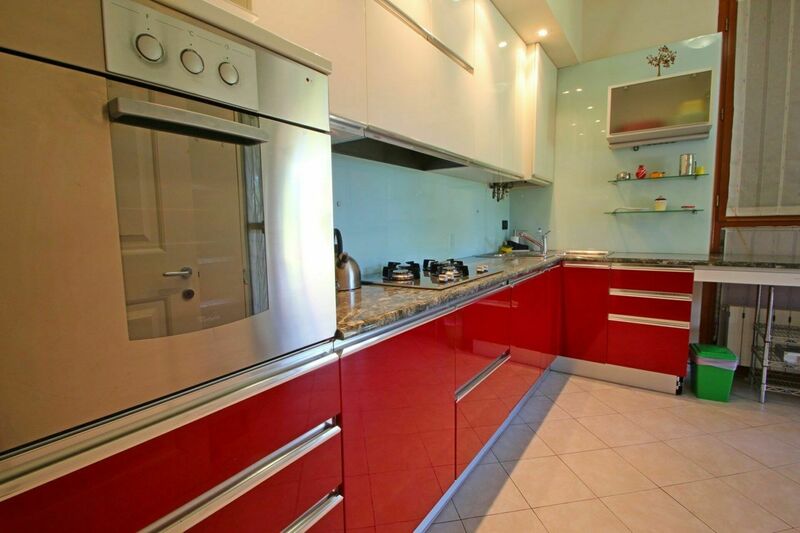 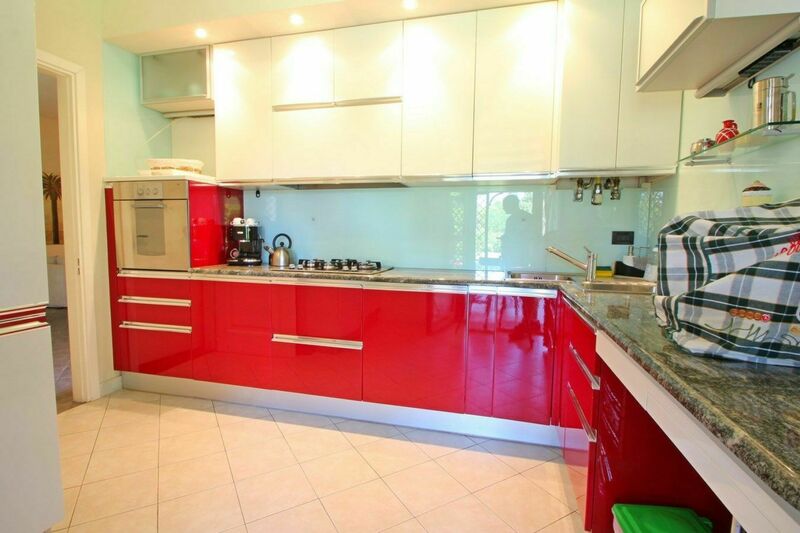 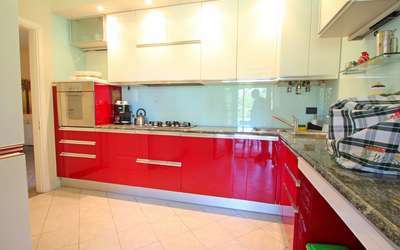 Kitchen with oven, dishwasher, 4 cooking rings, fridge / freezer, toaster, coffee machine, microwave and exit to the veranda. 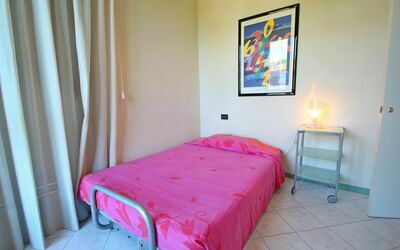 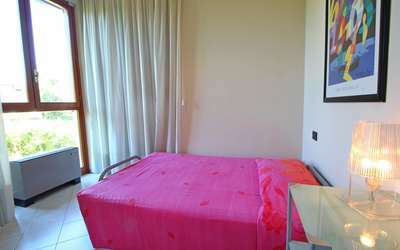 First floor: double bedroom with balcony and air conditioner. 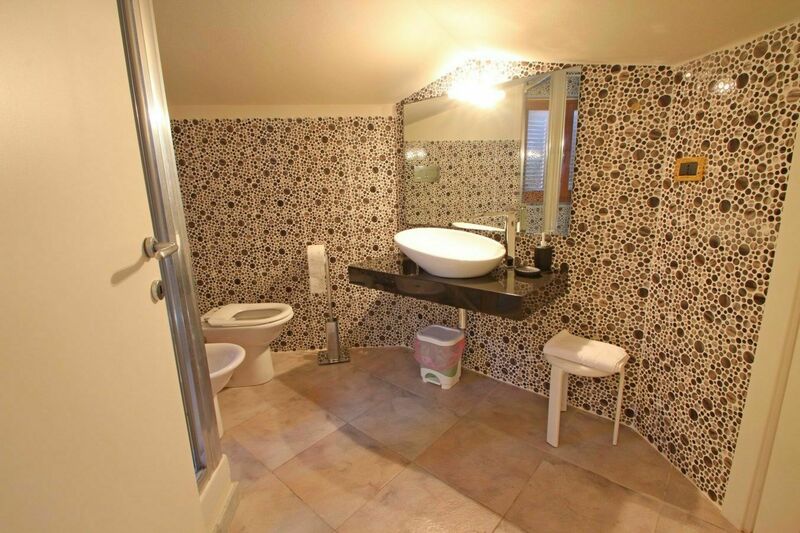 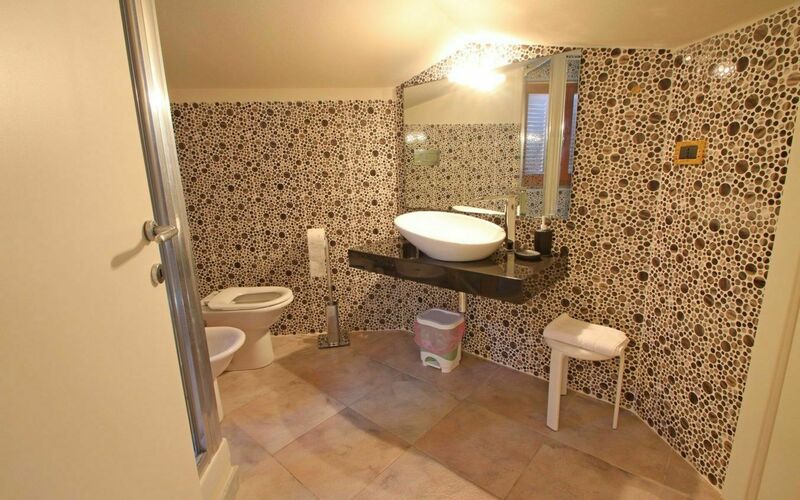 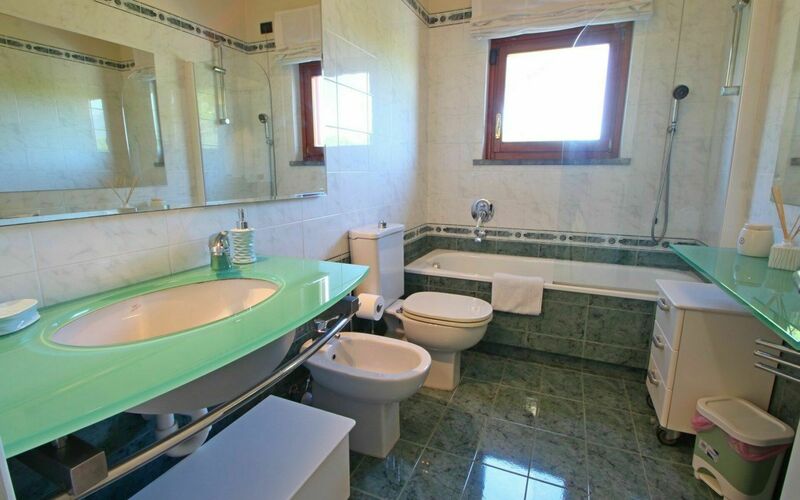 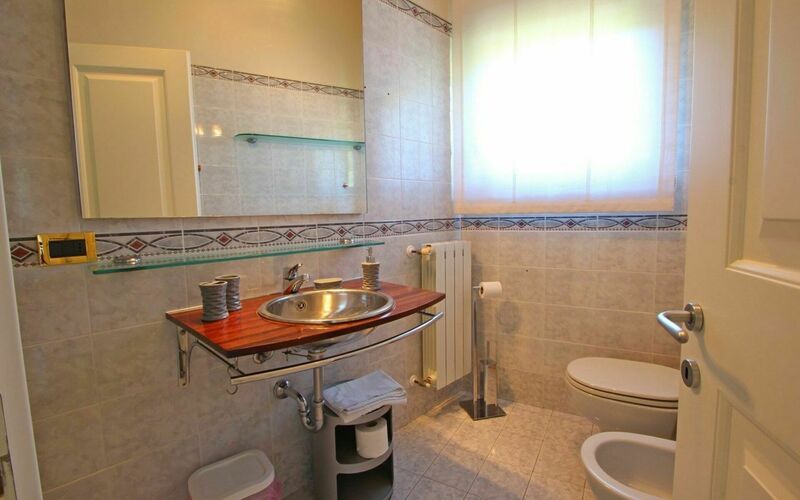 Room with French bed and a private bathroom with a shower. 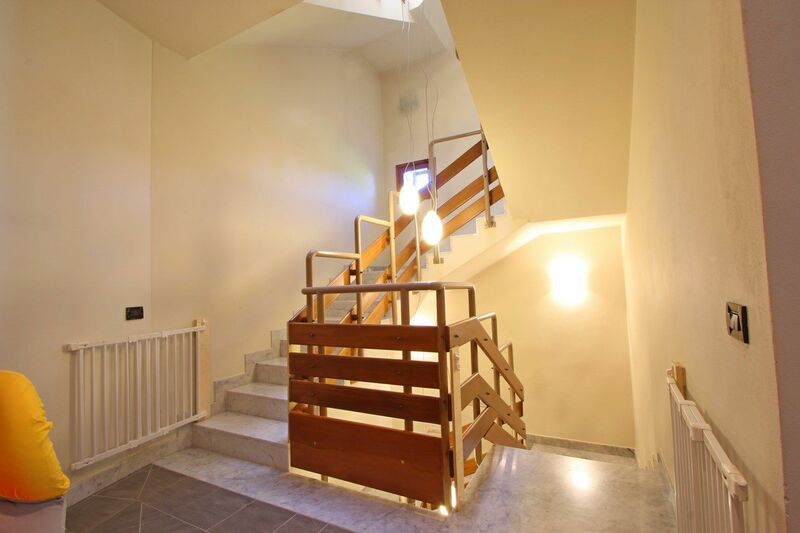 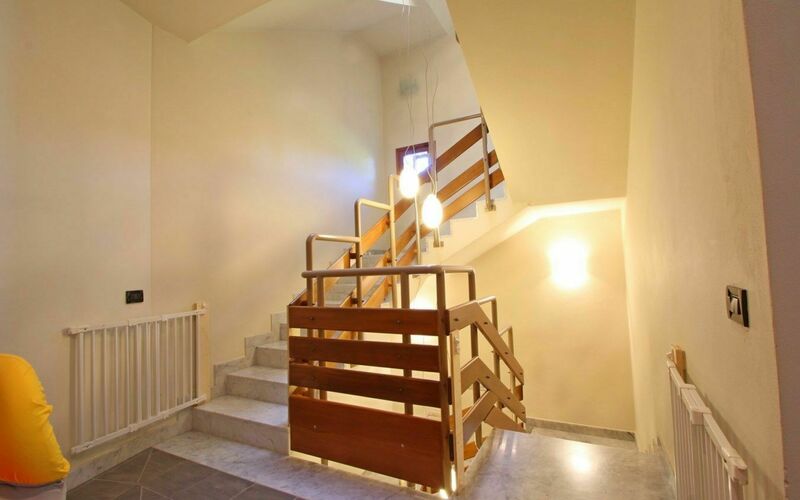 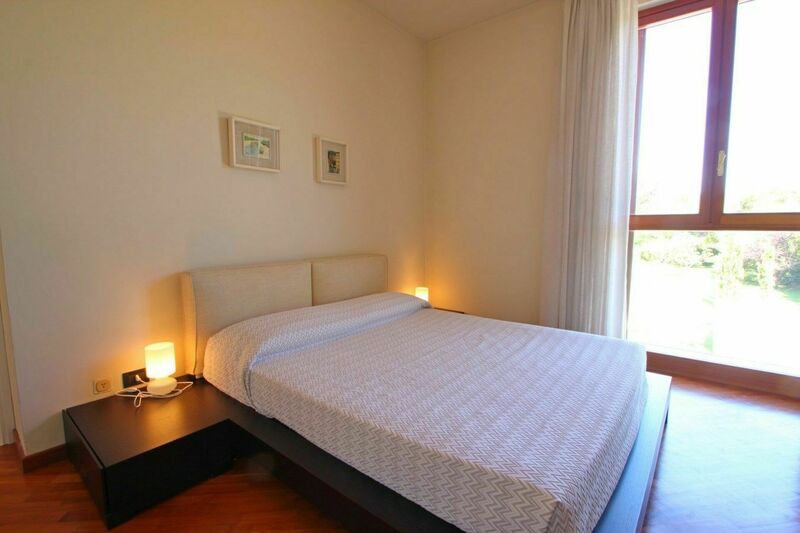 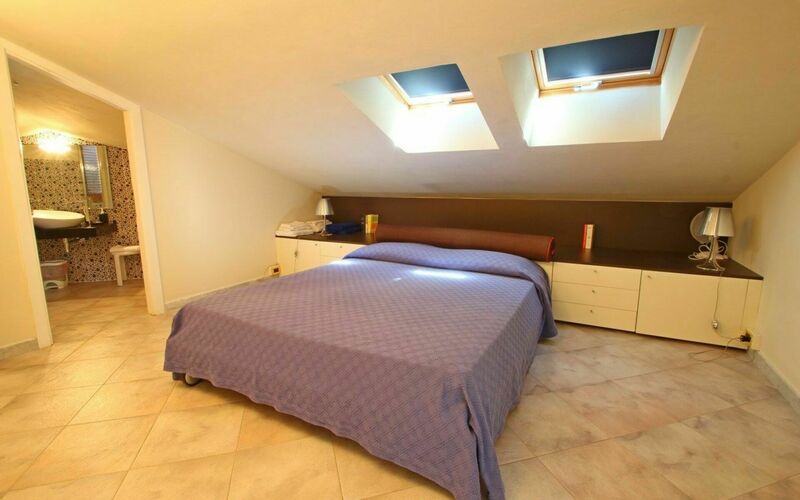 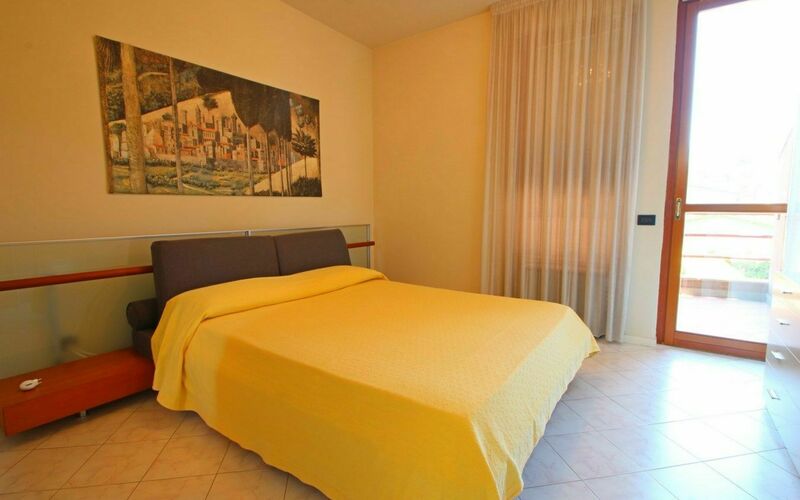 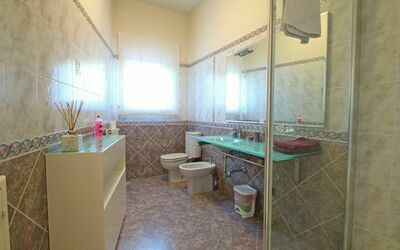 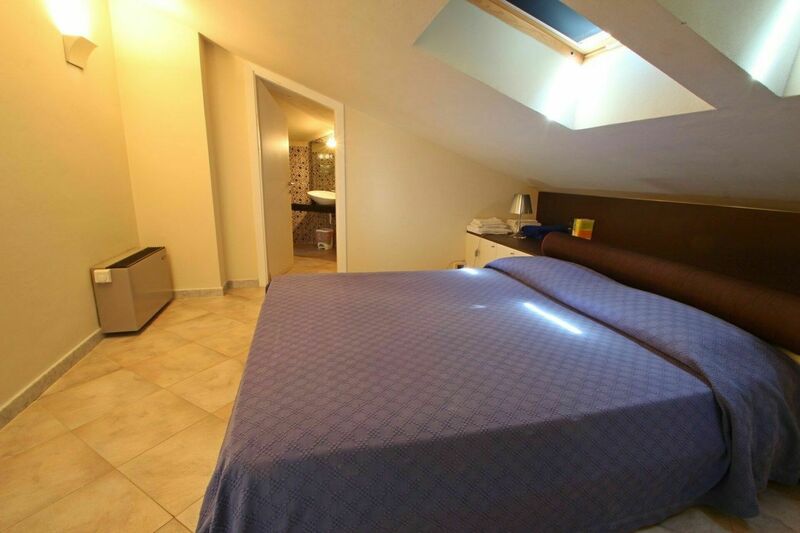 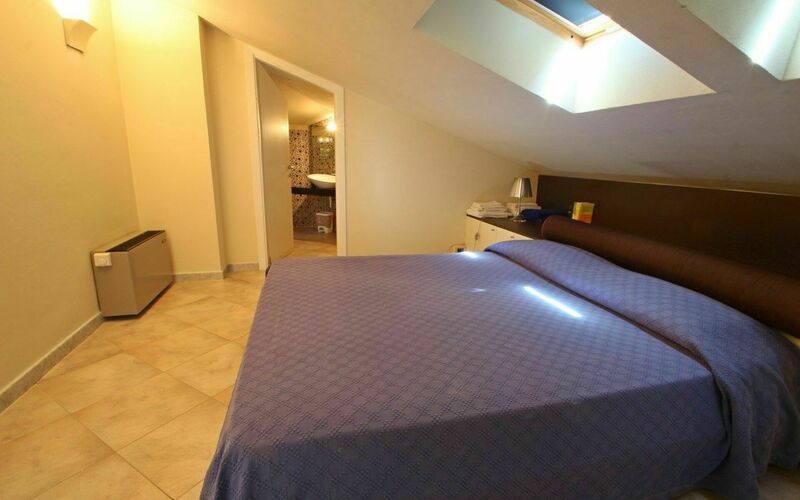 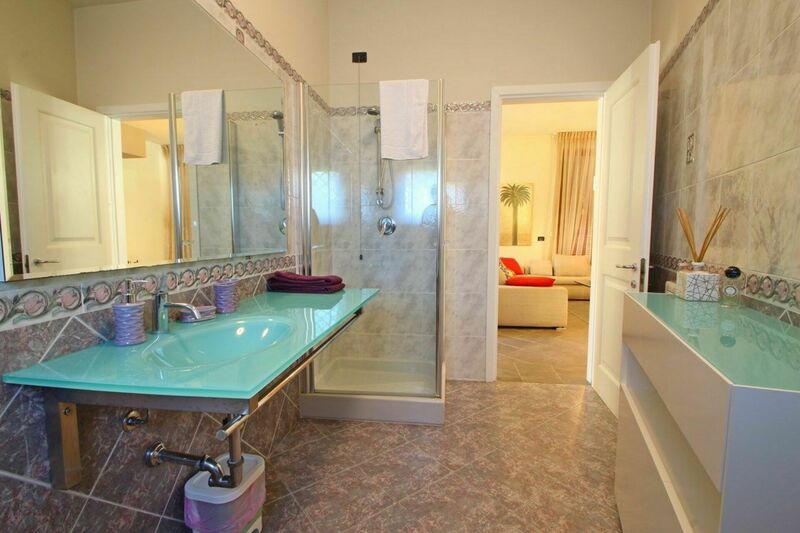 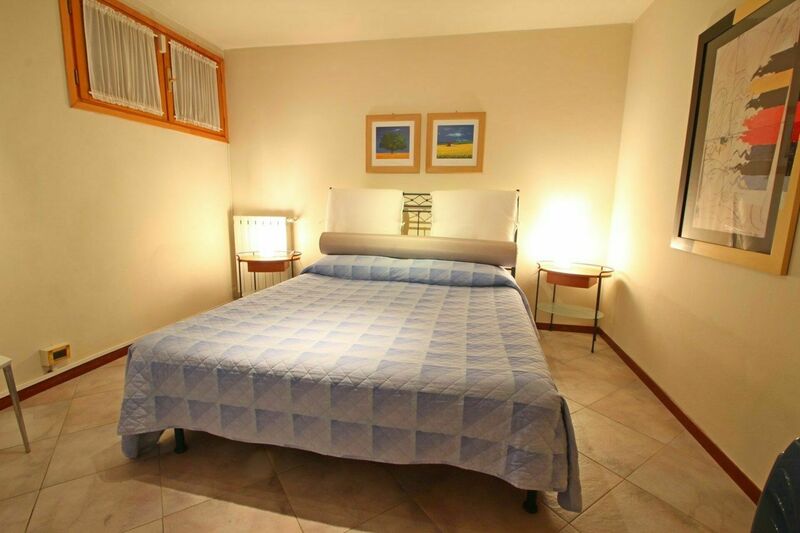 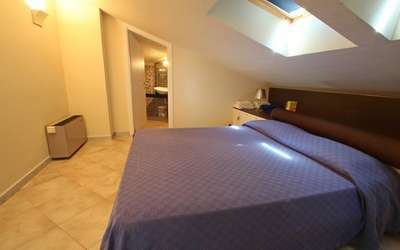 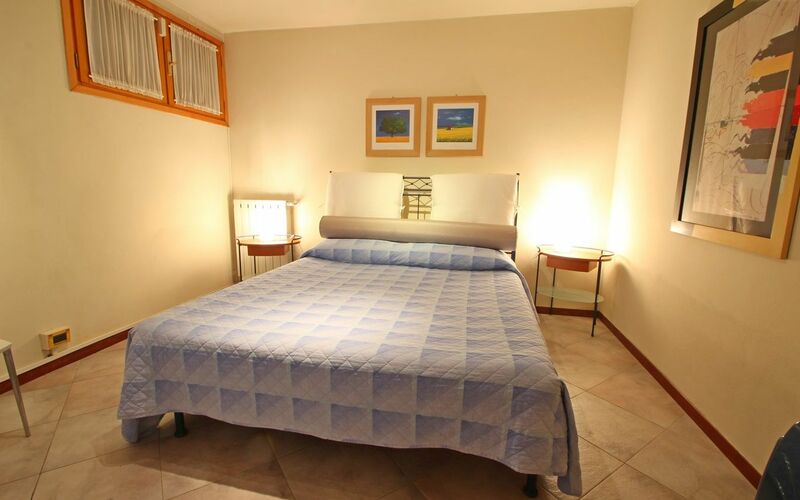 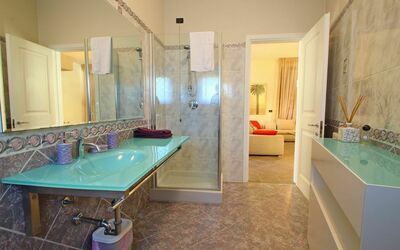 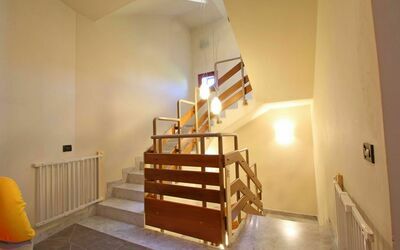 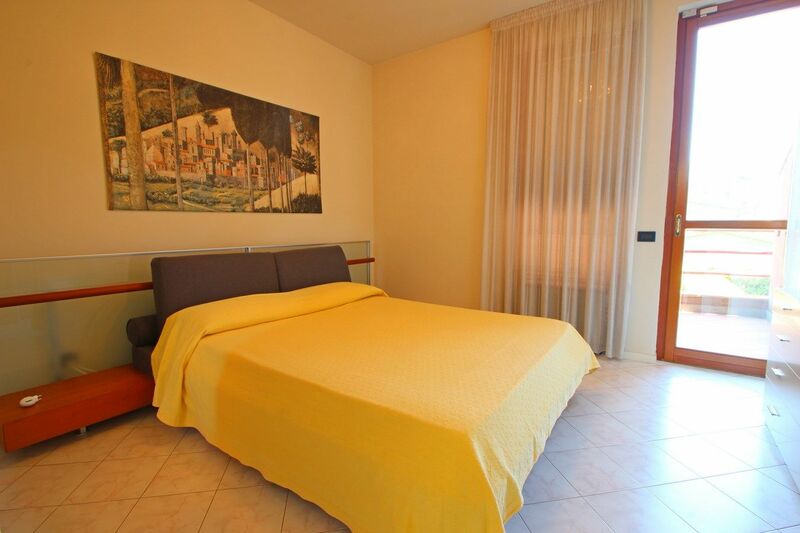 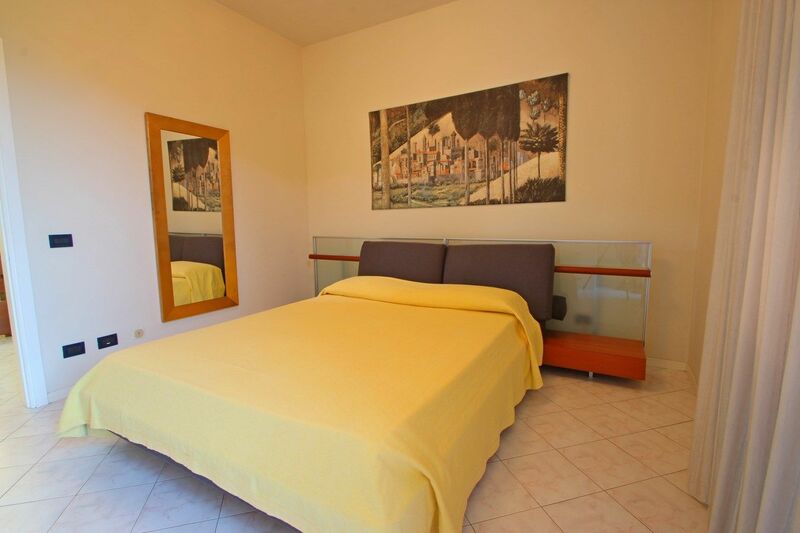 Second floor: Double bedroom with air conditioning and private bathroom with shower. Basement: Double bedroom. 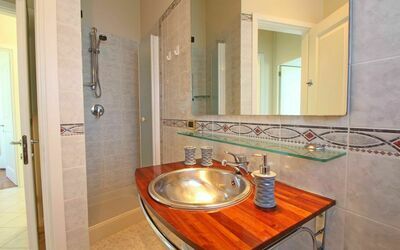 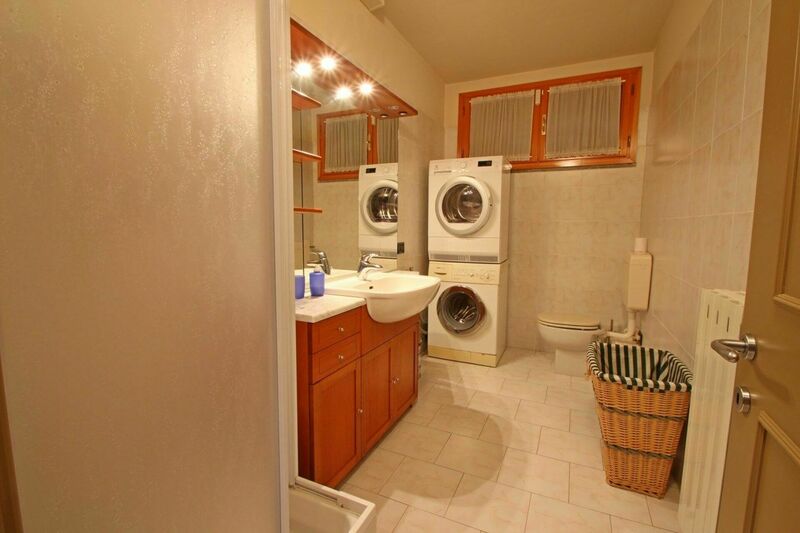 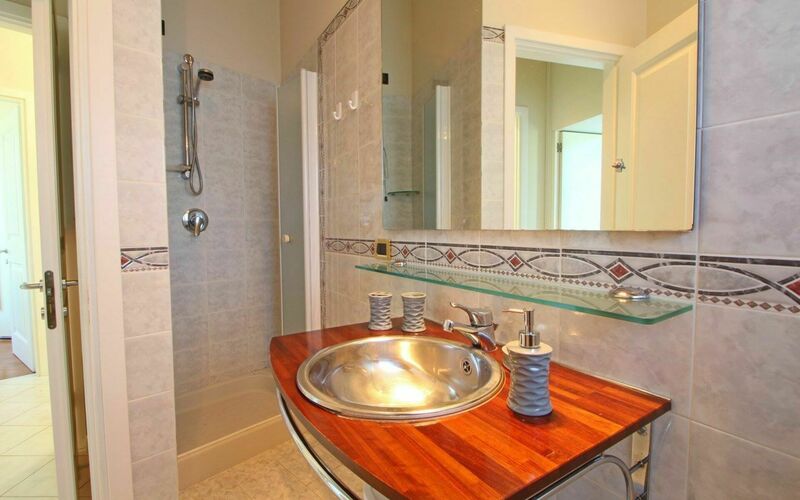 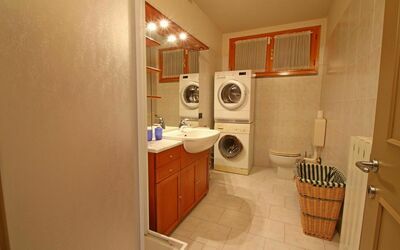 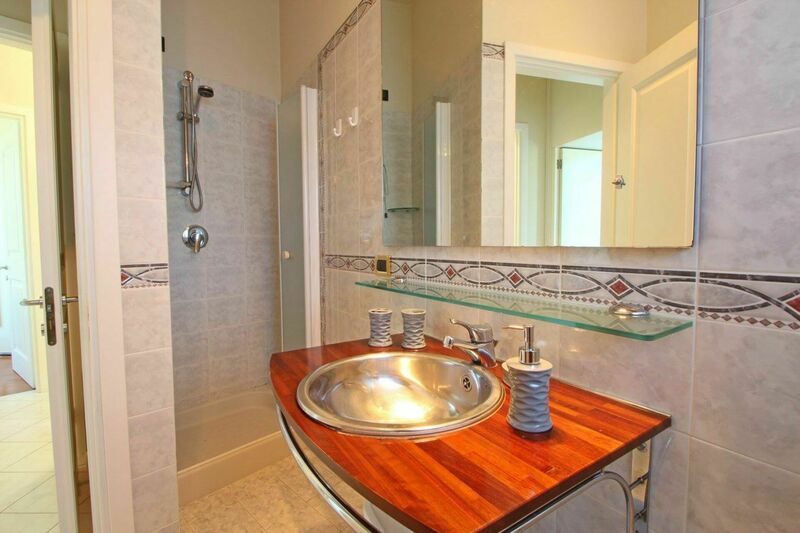 Bathroom with washing machine, dryer and shower. 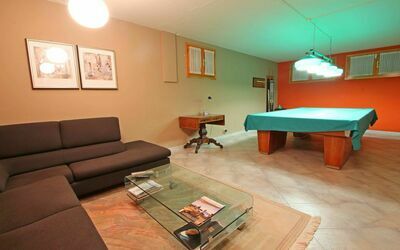 Snooker room with TV and sofa. 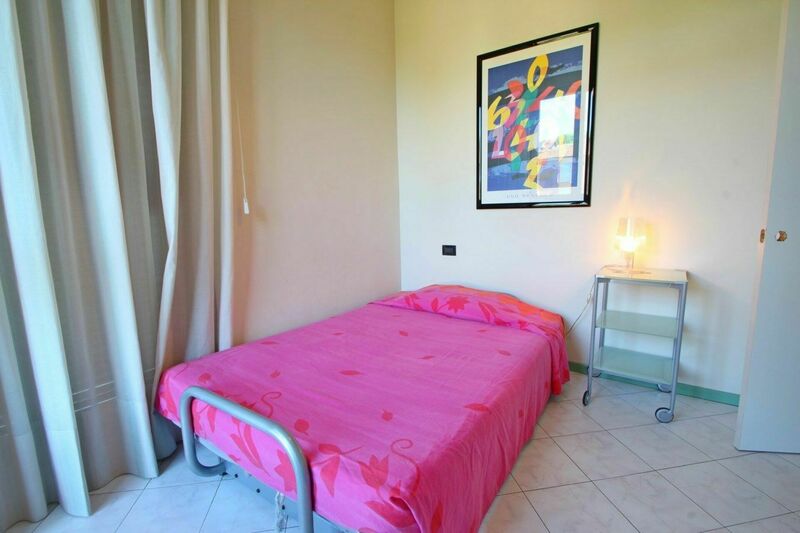 There is Internet WIFI, 2 bicycles, 2 baby cots. 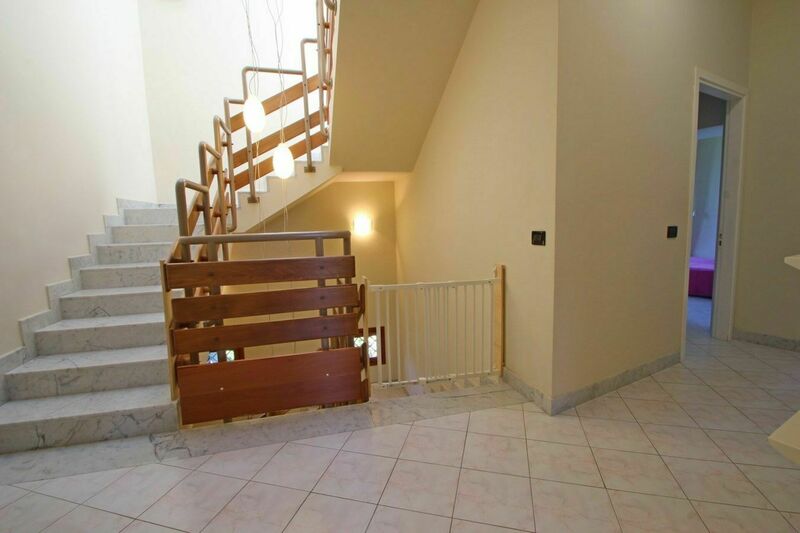 The stairs are protected by childrens gates.